We've rounded up 33 of our favourite retro chocolate bars that really need to be brought back as soon as possible. If you're a chocolate fan and still cling onto the memories of your favourite back in the day, you're going to love this round up. See if your favourite has made the list! From the bubbly honeycomb of a Crunchie to the caramel peanut fusion of delight that is a Snickers, everyone’s got a favourite chocolate bar – but what happens when your best loved treat gets discontinued?  Some cry, some start angry Facebook campaigns – but here at GoodtoKnow, we compile a furious article about it, of course! While they might not be bringing back the beloved Nuts About Caramel bar, or reviving their Marble bar, Cadbury have delighted fans recently by launching a selection box containing four retro bars. For £5.95 you can now buy Dairy Milk, Dairy Milk Whole Nut, Dairy Milk Caramel, and Fruit & Nut, all in retro packaging. Chocolate bars with a blast from the past? Yes please! But, it still doesn’t quite compare to the reality of actual retro chocolates and flavours being brought back to shop shelves. So, here are 33 retro chocolate bars we demand to see back on our shelves as soon as possible – we hope you’re listening, chocolate makers! Mars Delight, the lighter and fluffier sibling of the standard Mars bar, entered stores in 2004, but was sadly discontinued in 2008. However, fans are trying to rally up signatures with a petition to bring back the beloved treat. ‘I’ve been craving a mars delight for about 5 years,’ wrote someone on the petition, which has reached over 4,000 signatures. Sadly, a spokesperson for Mars has stated: ‘It’s nice to hear that there are still some fans of Mars Delight out there. We regularly review our product ranges and we will pass the feedback on to our Marketing team, but at the moment, we have no immediate plans to bring Mars Delight back.’ We still have hope! We’ve got some seriously sad news for Quality Street fans, especially those who favour a Toffee Deluxe. 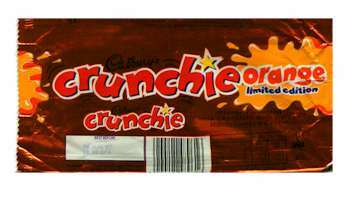 After 80 years Nestle have decided to swap the beloved Toffee Deluxe for a Honeycomb Crunch in the run up to Christmas 2016. We’re certainly going to miss our toffee favourite. Nestle released the following statement to back up why they’ve removed this popular chocolate; ‘We wanted to celebrate Quality Street’s 80th birthday by introducing the first new sweet for nearly a decade,’ says Nestle. ‘We did extensive research and found that the Honeycomb Crunch was the most popular option.’ We’re GUTTED. Yes, we’ve got great news for Tiffin fans. This delicious chocolate bar will be returning to supermarket shelves in a ‘Special Edition’ form in 2016 in the UK. The Tiffin chocolate bar was first sold back in 1937 but has been scrapped twice due to poor sales. We’re sure this generation are going to love it! In March 2016, news broke that Cadburys had been slowly removing the Time Out that we know and love from our shelves. When one loyal fan tweeted the brand to ask what had happened, the brand said that they had ‘combined the two original slim fingers into one delicious, wafery bar for only 35p that now contains 111 calories’, and that it was now known as the Time Out Wafer. The new incarnation is delicious, of course, but couldn’t we have had both?! Much like a chocolate Pringle, these thin and crisp chocolate delights came in five amazing flavours – Milk Chocolate, Hazelnut, Caramel Crunch, Mint and Orange. Eating a whole pack in one sitting was way too easy – but we’d do it all over again if we could get our hands on them. Okay, so these aren’t strictly a chocolate, but we definitely wish we could see this tube of chewy toffees on the sweetshop shelves now! These glue-your-teeth-together treats have been gone since 2008, but we still miss them every single day (especially the mint ones). We’re pretty sure these biscuit and chocolate balls were aimed at the kids, but we still ate more than our fair share of them when they launched in 1997. You can’t get them in the UK anymore, but apparently they’re still sold in South Africa – anyone fancy a chocolate cruise? Nougat + toffee + chocolate = a match made in chocolate bar heaven. Texan bars were one of our absolute FAVES, as was crying “Sure is a mighty chew!” before consuming them. Nestle did re-release Texans in a wave of 2005 nostalgia, but then cruelly took them back out of our lives again. What a tease. We don’t know why this fusion of ALL of the chocolates from a Milk Tray chocolate box worked, but the point is, it did. Strawberry cream, fudge, Turkish delight, hazelnut – and that elusive lime barrel that you can’t get for love nor money nowadays. Rest in peace, zesty old friend. We’d really like to shake the hand of whoever thought of putting nuts, raisins, fudge and cereal pieces in a chocolate bar – and have swift words with whoever pulled Fuses out of production! The mini versions in the tubs of Cadbury Heroes were always the first to go in our house – was it really 2006 when we last unwrapped one of these beauties?! On the subject of Kit Kat-related deliciousness, where the flipping heck did the Kit Kat Caramac go? These crispy wafers coated in creamy caramel chocolate were one of the best bars EVER – the only problem being the snappable finger format, because people always expected you to share. 70s children will definitely remember the Aztec! One look at that iconic purple wrapper and we can almost taste the caramel-nougat centre. Nowadays, we have to make do with Mars Bars, which are probably the closest modern chocolate bar you can buy, but if we’re honest, it just isn’t the same! We don’t know what they had to do with the musical instrument, but we do know that we could never decide between the coconut or roast nut bars (and always ended up eating both anyway). Want to see Banjos revived? Someone’s created a Facebook campaign to get them back on the shelves! Wispa (and Wispa Gold) have been brought back into Cadbury’s current range – but what about our beloved Wispa Mint? Tucked inside that shiny green wrapper was every mint chocolate lover’s dream – sweet, bubbly chocolate with a hint of peppermint goodness. If they bring these back we’re buying in bulk, just in case the worst should happen again. Now that we’re on our minty-fresh high horse about the Wispas, we’re going to kick up a fuss about Mint Crunchies too. These crunchy bars of gold were all of the things we love in one delicious package, and it’s an absolute travesty that they’re not being made anymore. Whilst we’re at it, we’ll have the orange ones back too. Thanks in advance, Mr Cadbury. The crumbliest flakiest chocolate did taste like chocolate never tasted before, when the geniuses at Cadbury decided to put their white ‘Dream’ chocolate inside a standard flake and blow our tiny chocolate-loving minds. Sadly, these fabulous creations are no longer available – and come to think of it, has anyone seen a Dream bar recently? When we were kids, Freddos cost 10p – and you could pick up a Taz at the same time. With the Looney Toons Tasmanian Devil in pride of place on the front, we thought these were the best things you could buy with spare change from your pocket – but the early frog clearly had more fans, as Taz was discontinued and replaced with the caramel Freddo instead. Fox’s Echo bars were classic lunchbox biscuits – just the right size to be stashed away next to the sandwiches and apples – although we must confess that we were partial to dipping these bubbly bars into a cup of tea too. The milk and white chocolate ones were obviously the best, but we’d never say no to a mint one either. It seems impossible to us that Fry’s stopped making these in 1992 – it feels like just yesterday that we were guessing whether it’d be raspberry, coffee, blackcurrant, orange or lime in our dark chocolate coated square. Considering they launched in 1924, they had a pretty good run, but we’d love to see them back and reinvented – especially as they were dairy free and vegan, so everyone could enjoy them! Well, there’d be no missing this bar in a line up! The bright and beautiful packaging reflects the bar inside, which was simply bursting with goodies like nougat, caramel and raisins. It’s basically rum and raisin ice cream in sweet form – how could we not want to see these in the shops again? The shape, the filling, the gloriously moody green and brown packaging – there’s nothing about Terry’s Pyramint we don’t miss, but they haven’t been in stores since the 90s. If your love for the Pyramint runs as deep as ours, we’d suggest trying this homemade version from one of the geniuses at Pimp That Snack – it’s not for the fainthearted, but it’s probably the closest thing you’ll find these days. The joy of the Spira was that you got not one but two swirly bars of delicious Cadbury choc. There were no bells, no whistles, no nuts, no fudge – just pure, unadulterated chocolate heaven – which is precisely why we wish we could have them in our shops (and bellies) again. Seriously, Cadbury, you’ve got a lot to answer for – giving us milk chocolate, white chocolate AND praline in a bar, and then taking it away? Cruel, just cruel! Ahh, Secret – our guiltiest 80s pleasure. With its fluffy, moussey, marshmallow-esque centre and thick coating of Nestle chocolate, it was one of our all-time favourite treats – apparently it was withdrawn due to low sales volume, but we were so obsessed with them we’re pretty sure we were buying enough to keep them in business ourselves! Yes, you can get these in ice cream form. Yes, they are delicious. But no, they are not a replacement for the bar. Oh gosh, we’re going back to the 70s now, which makes us feel old, and more to the point, hungry. Treasures were a little like the 5 Centre in that they had different flavours in every square, but when someone invents a time machine, these are the first thing we’re bringing back. Ho ho no! It’s the end of an era – Cadbury has officially announced that they won’t be making any more chocolate coins from 2014 onwards, in a blow to stocking fillers everywhere. We know there are plenty of alternatives on the market, but our Christmas morning will never be quite as delicious now that we can’t scoff a couple of these before breakfast. Remember these? Back in the day this bar was all the craze and we just can’t believe that it was only 10p! This tasty little chocolate went out of production more than 10 years ago (wow, now we feel old!) Mostly available in Ireland, this bar certainly is a blast from the past!